As anticipated, the reigning Olympic and European champion Michael Jung (GER) has made quite an impression on his first visit to the Land Rover Burghley Horse Trials (GBR), sixth and final leg of the FEI Classics™ 2014/2015, and is in the lead after the first day of Dressage (3rd September 2015). The Ground Jury, President Nick Burton (GBR), Andrew Bennie (NZL) and Christina Klingspor (SWE), unanimously placed him out in front on his first ride, FischerRocana FST, with a mark of 34.2 for a classy test that was beautifully light, harmonious and happy. “She was very relaxed, easy to ride and gave me a good feeling,” said Jung of the 11-year-old mare on which he won Kentucky, second leg of the FEI Classics™ 2014/2015, in which Jung is lying second in the rankings behind his compatriot Ingrid Klimke (GER). Andrew Hoy (AUS), who first won Burghley in 1979 before Jung was even born, also broke the 40-penalty barrier and is in second place with Rutherglen on a score of 37.8 after a reliably smooth and attractive test. 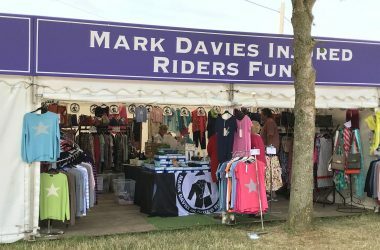 Hoy, 56, is due a change of luck: he fell in the water on both his rides at Badminton, although he had a good run when finishing seventh on his Burghley ride Rutherglen, a powerful Hannoverian gelding, at the recent Aachen (GER) CIC3*. Another rider who will not remember Hoy’s first Burghley win is third-placed Niklas Bschorer (GER), who scored 39.2 in a well-ridden test on Tom Tom Go 3. At 20, he is the youngest in the field of 74 runners but his riding style is mature. 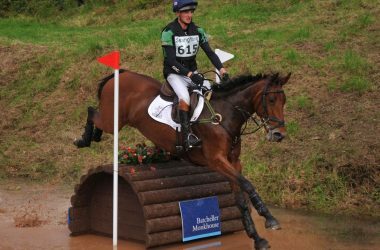 Bschorer’s Badminton debut ended abruptly when his air-jacket blew up on the Cross Country, but he was ninth at Luhmühlen (GER) in June and could easily trouble his seniors this weekend. There were loud cheers for the diminutive Rosalind Canter and the giant 173cms Allstar B. The British pair have made an impressive start at their first CCI4* and are best of the home side in fourth place on 40.2 after a calm and accomplished performance. Canter took over the ride on the 10-year-old Allstar B, a Dutch warmblood by Ephebe For Ever, in 2012. 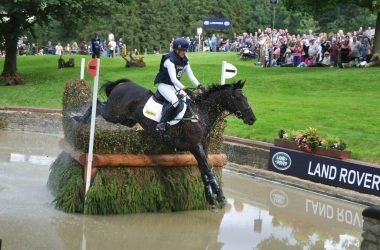 Their best international result is seventh at Bramham CCI3* (GBR) last year. “The Cross Country is really big!” she said. “I’m slightly terrified but really excited. 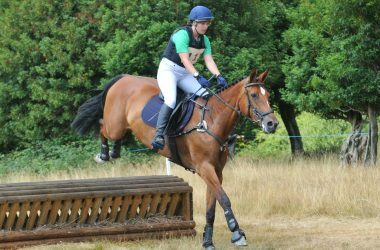 I’m over the moon to have done a mistake-free Dressage test here,” she added. “The more noise and people the better for him. I’d hoped to score in the 40s, so to be nearly in the 30s is great. Australians Christopher Burton (Haruzac), Sam Griffiths on his 2014 Badminton winner Paulank Brockagh, and Paul Tapner (Vanir Kamira), all of whom have yet to win at Burghley, occupy the next three places. Pippa Funnell (GBR), who triumphed here 12 years ago, is eighth on Redesigned. 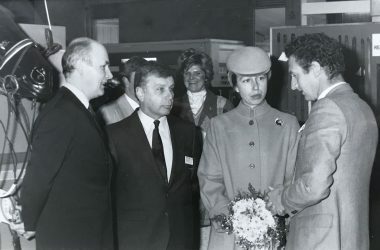 Funnell was, as ever, endearingly emotional as she left the arena, having scored 43.0 on the 14-year-old chestnut owned by Denise and Roger Lincoln, owners of her 2003 winner, Primmore’s Pride. 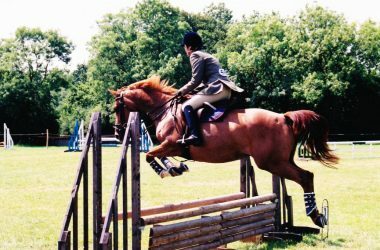 Redesigned, a magnificent chestnut by Canute, promised much when fifth at the 2010 FEI World Equestrian Games™, but has been a difficult horse to manage. Cross Country course designer Mark Phillips (GBR) has set riders an intriguing test as he has reversed the direction of his track. This means that the Lion Bridge water complexes, where crowds of spectators lean over the bridge to get a bird’s eye view of the action, come up early at fences 4, 5 and 6. 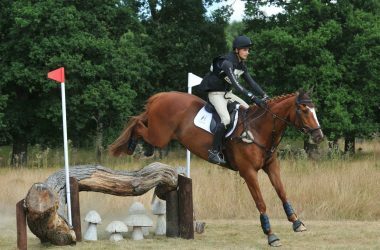 Capability’s Cutting, at fences 9 and 10, has possibly the most difficult obstacle on the course, an acutely angled corner, and at 18 there is the traditional enormous white oxer at The Maltings. The famous Trout Hatchery (20-21) has five efforts, but riders will not be able to relax after that as the notorious Discovery Valley (24 and 28) and Leaf Pit drop (26, 27) are still to come. Tomorrow, Jung will ride his London 2012 double Olympic gold medal partner La Biosthetique Sam. Funnell, who has withdrawn Mirage d’Elle, rides Second Supreme, Jonelle Price (NZL) who has withdrawn The Deputy, rides Classic Moet, and Christopher Burton, Sam Griffiths and Paul Tapner all have their second horses. There’s also six-times winner William Fox-Pitt (GBR) on his only ride, Fernhill Pimms, plus five-time winner Sir Mark Todd (NZL) on Leonidas ll. 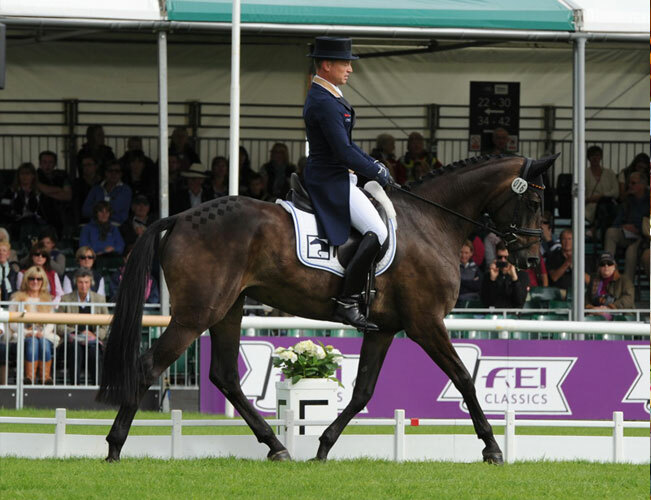 Last of all is the 2009 winner Oliver Townend (GBR) on the brilliant CCI4* horse Armada.